Obsolete addresses and “auto-deleters” may get your numbers up, but they aren’t your true peeps. You can actually build your brand by offering to remove the uninterested from your list — nobody likes spam. Bonus for you: a high quality list. Send emails to your list and encourage them to opt out. Additionally, you can purge your list and delete email addresses that are not opening your emails. This saves you money by reducing the cost of your email marketing software over the long run. – Hire a copywriter to write an attention grabber for your giveaway. – Require people to opt-in to get the valuable free info. – Include a Call to Action at the end of the piece. – Link to one of your more popular newsletters. – Follow up by continuing to provide awesome content. Ask your current subscribers to invite potential subscribers. Social media is a great way to connect “old hands” with “newbies”. You can add social sharing and email invitation buttons inside of the email. Plus, you can run referral contests for a wonderful prize. An example would be to offer an iPad as a prize to subscribe. Then if your subscriber invites his friends, he gets 5 more entries into the contest for each new subscriber. 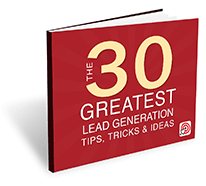 This will grow your email list fast. According to The New York Times, 65% of a company’s new business is from referrals. Yet, 72% of marketers do not ask for referrals. Be sure not to fall into this trap. By following these 3 tenets, you can manage your existing email list better, grow your email list, and ultimately increase your online sales. Please contact us for more internet marketing strategies to propel your business.